Desmond the field mouse wants to carve the biggest jack-o’-lantern in the neighborhood with his pumpkin. 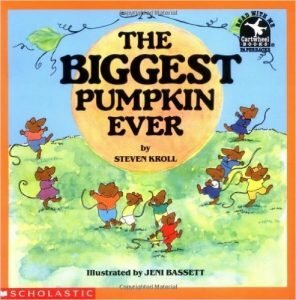 Clayton the house mouse wants to win the Biggest Pumpkin contest with his. But when they discover that their choice pumpkins are actually the same one, Desmond and Clayton decide to work together to grow the biggest pumpkin ever!